On those days when I feel homesick, it doesn’t mean I don’t like living in the United States and being an American citizen, but just that I miss my family and friends a lot. Those are the days that I will go to the closest Latin market and crazy or not, I go to the Colombian food aisle and feel like I am home. Just the other day I was walking in the supermarket looking for some Masarepa and I saw this little box of Triguisar and I was so happy that I wanted to buy a dozen! Maybe you are thinking, “what is the big deal, maybe she needs a shrink”. oh I so understand how you feel i feel the same when i find a British product, why not do a guest on the things you miss most about back home for chow and chatter. I don’t think you need a shrink at all, I understand perfectly well what you mean, I can find most Dominican ingredients (mine), but when I find some Peruvian ingredients (husband) at my local supermarket, I get so excited I what to scream right there in the middle of the isle! (there are very few Peruvians in the city we live in). I am so glad you found your Triguisar, I know how such a thing calls you back to family and home and makes your heart break and sing at the same time. You will have such enjoyment using this spice! Thankyou for such a lovely post! Hola Erica se perfecta,mente lo que dices lo que habals como lo sientes pues me siento muy identificada contigo en muchos aspectos, me encanto tu lomo apanado mi esposo quedo fascinado y porsupuesto yo tambien, solo quiero decirte que lo que escribes describes muchas cosas que yo siento y por las cualestambien yo como se que otros colombianos gracias…………………. I don’t think you sound crazy at all. I remember how excited I was when I found brunost, a cheese that is widely available in Norway, at Whole Foods, when I came back to the states. It was amazing. No, you’re not crazy at all, it’s so nice of you to share your thoughts because alot of us feel the same way, so hearing your story makes us feel like we are ok too. Love reading your stories & really love your recipes!! It’s strong to have feeling for your origin! Never heard about this brand Triguisar. I don’t think that you are crazy,…I can understand that. Your writing is truly entertaining! 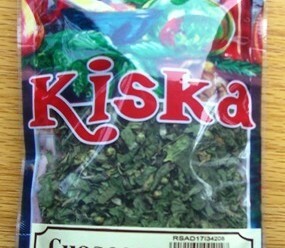 We can buy Masarepa in our Asian supermarket. I can understand your excitement. Certain things remind us of home or a certain time in our lives. Plus, as a foodie, I get excited over all kinds of food in the grocery store!! I love the picture of the Triguisar, so retro looking! I’m glad you brought up “Triguisar” because I bought a box during my vancation in Miami, FL and I don’t really know how to use it. When does a recipe call for Triguisar? I get what you say and feel Erica. Luckily, I’ve been able to find it at a nearby Latino food store.I use it for almost everything! 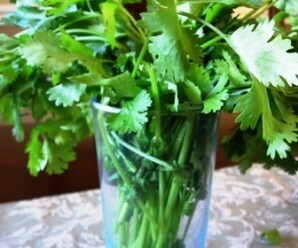 I love the taste and smell,which reminds me of my mamita’s cooking and of course, home……. No You Do not need a shrink. And if you do then Every one of us who gets hope sick needs one I think it’s just that we never get used to leaving in other places with different environment than we grew up with. I am so happy I stumbled on to this site!! I had a Colombian friend that used to bring Triguisar from Columbia for me but we have lost touch over the years and I have been out of it forever. We are doing and international dinner night and I need this spice to make the yummy dishes that my long lost friend taught me years ago. Do you know of any grocery stores in Toronto, Ontario Canada that carry this spice?? On a personal not, you are not crazy and do not need a shrink at all. You are passionate about your homeland and probably miss it terribly. Little reminders of our homes like a familiar dish put a smile on our faces. There is nothing crazy or wrong with that!!!!! Cheers! Rachel- Thank you so much for your comment! I don’t know any stores in Canada. Sorry! 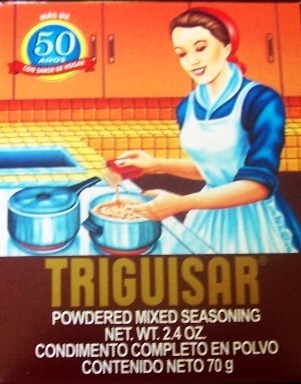 I always joke with my Colombian husband, “Just add triguisar to make any dish Colombian!” LOL We use triguisar in all our Colombian dishes and when I make chili too! Surprisingly here in Canada my husband and I never have problems finding it. I’ve noticed that NO FRILLS a chain of grocery stores in Ontario often carries a variety of Colombian products! 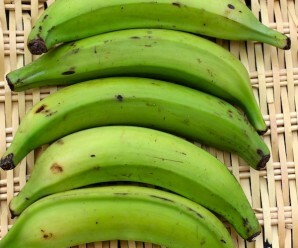 We always get our Triguisar, Manzana Postobon, Colombiana, Rollitos, Guyava Castipan and few other things at NO FRILLS! Rachel is you live close to Oakville there is a great Latin market on Kerr st called Tropical, they have great South American stuff and Triguisar too! LOL We always buy our Colombian tamales and empanadas there! Stephanie- Thank you so much for your comment! I feel the same about missing Colombian dishes and I was born in the US. sealer to retain freshness so I will have triguisar for a long time until the next visit. My husband also loves Colombian food. Erica thanks for making this website as I like to try other Colombian recipes too. I will pass this site along to my friends & siblings. KaDee- Thank you so much for your comment! Erica guess what? I had one of those moments today, last night my sister call me from a supermarket that we don’t usually go to and she said you have to come here! I see a lot of stuff that says Peru on them, I could not wait, so today I dragged my Peruvian husband to the supermarket and I got so exited that I kept saying “I think I’m going to have a hard attack”, almost half o an isle was Peruvian products! I saw things that I’ve only seen in Peru when we’ve travel there! (of course I bring as much stuff as I can when we go). But you now what? I also remember you!, because I saw boxes and boxes of “Triguisar”! and many more Colombian products, of course I had to buy a few boxes of it so that I can make more of your recipes!. I’m really surprise about all of this Peruvian and Colombian Products since the city I live in I’ve only met two Colombians and About Four Peruvians (my husband being one of them), sorry for the long post, but I think you would understand the excitement! I do feel the same way. My mom is Indonesian, and every once in a while I’ll find an Asian grocery that stocks an Indonesian product section. Sambal (chili sauces), kecap manis (thick, sweet soy sauce), gula Jawa (Javanese coconut palm sugar), terasi (dried shrimp paste), and Te Jahe (ginger tea) are my favorite items to find that help soothe the ache I feel for my mom who is so far away. My partner is Colombian living in Australia. Australia is lucky enough to have a Colombian importer that gets everything from both Triguisar and Sazon Goya con Azafran, to Sol and Corona, to PAN and Doñarepa, to almidon de yuca, maiz trillado, and chontaduro. I bet you can find other importers of Colombian products where you live, or place an order for products through the distributor that supplies the store you found. Also, I have one suggestion or request. Perhaps you can now add triguisar to all the recipes where you indicated Sazon Goya con Azafran. This way, people who can find Triguisar in stores know that they can use either in your dishes, especially since that’s what you would’ve used instead of Sazon Goya in your earlier recipes. What do you think? Misha- Thank you so much for your suggestion and comment! 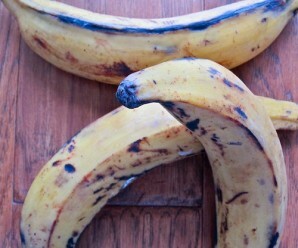 I completely agree with in regards to any Colombian foods found in local supermarkets. I found a big box of Triguisar in LA but have not been able to find that same size in Florida. For those of you wondering how to use it, you can use it the same way you use salt and pepper or Lawry’s salt when coooking. I use it in eggs “huevos pericos” soups, stews actually anything I cook. Nice webpage! I will make sure and bookmark it. Hi Erica, I do feel the same way when I found the Triguisar while I lived in Glendale, California. I felt that I was in home…because my mom always used it in her kitchen. My husband is Mexican and I cook some mexican dishes; I made pozole, the recipe is from his sister that lives in Guadalajara, Mexico, but I add triguisar and one day I made pozole and shared with my coworkers, they loved it, one of them said that is the best pozole that she ever ate, she is Mexican American and requested the recipe, When I gave it, I have to explain about the triguisar. Now I’m living in Escondido, Ca. and I found Triguisar in Vallarta Supermarket. I have finally managed to track this down in the UK! I found it in a tiny little Colombian cafe, my Sudados have not been the same since! So so so happy!! So do you guys know if Triguisar is the same thing as “Color”? like Color el Rey? I’m from Colombia and never heard of this product, weird? lol in my family we only use Color el Rey but in the states is like mission impossible to get it, so if you guys know if is the same thing 😀 dang it I’ll buy a truck full of it, since I have a goya store that carries it! Nas, I think Color is tartrazine which is added to foods to give them an attractive yellow colour (it is often used to replace the more expensive saffron), and Triguisar also contains it. Tartracine is also known as E102, and has been associated with behaviour problems and hyperactivity in children, so it should be used with caution, and is actually banned in many countries. It certainly adds appeal to food, but it is probably not wise to consume large amounts, which shouldn’t be a problem when eating a meal cooked with it, but kids should avoid soft drinks that contain it! I have a Colombian husband and he says I shouldn’t take it too seriously, but I have seen the effects of a medicine containing tartrazine on our son, he was climbing the walls!